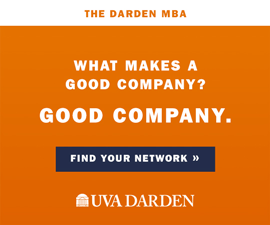 If the University of Virginia’s landscape were to represent the human mind, with the Rotunda and pavilions being our most sophisticated thoughts, what better to represent our imaginations, where we ponder and dream, than the trees? Vibrant in the light of a spring afternoon, blazing with color in the fall, the trees at UVA compose a major part of the University’s personality. They’re woven into our memories of spending time on Grounds (who hasn’t marveled at the changing leaves while marching to the library?) and with their chapel-like peace, add to the meditative atmosphere of the University. While it seems like the trees have been here forever, their health and layout is no accident. Like everything, they take management and care and can be threatened by factors that seem beyond our control. Also, as the Grounds continue to evolve with major additions such as the South Lawn Project, how will the landscape, the trees, evolve with it? First, a little history. 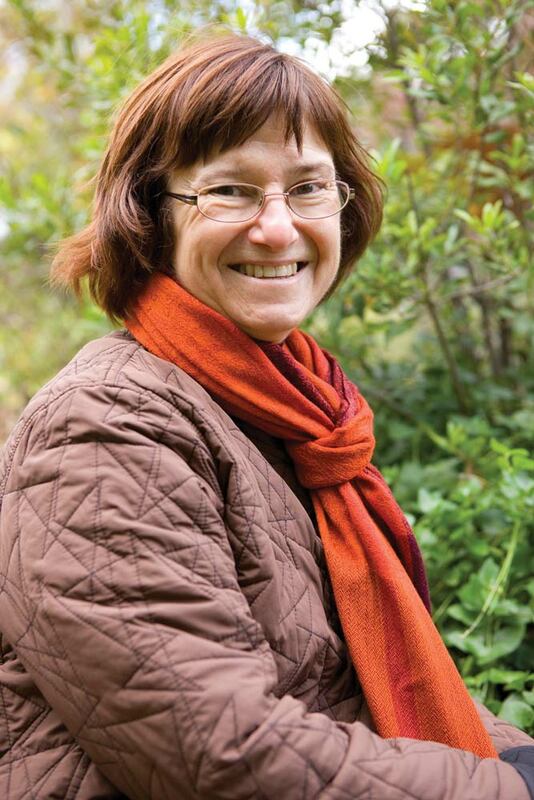 “The land the University was built on was an old farm,” says Mary Hughes, landscape architect for UVA since 1996. “The ground was relatively infertile, which made the land available at an affordable price … so there were no trees except for at O-Hill.” Whether trees were actually meant to be planted on the Lawn has sparked some controversy. Some claim that the trees block views of the pavilions and interfere with Jefferson’s neoclassical architectural plan for the Academical Village. However, an 1817 letter in which Jefferson sketched the village and in the middle of it wrote, “grass and trees,” seems to settle the debate. “We do know that the first trees were black locust trees,” says Hughes. “The first pictures of the Lawn show dead or dying black locust trees.” The intention was to interplant them with longer-living hardwoods such as the maple and ash, which now make up the predominant species on the Lawn. The oldest trees are believed to be the sycamores on the north side of the Rotunda. “We believe they were planted before the Civil War,” says Hughes. 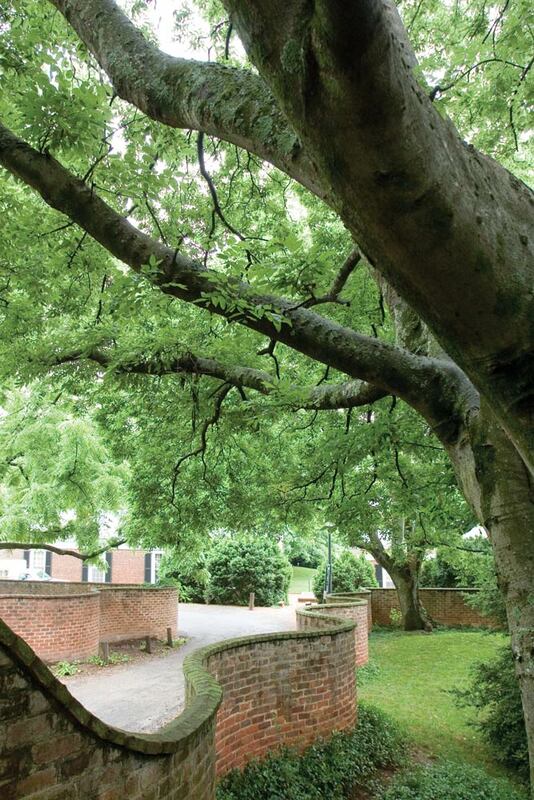 With such a long history, there are trees at UVA that hold a sentimental value—those that took root in the hearts of their stewards. The McGuffey Ash is one such tree. Planted in the garden of Pavilion IX in 1826 (just one year after the University opened for classes), the tree is said to have been protected by the wife of professor William E. Peters, who lived in the pavilion from 1874-1903. According to legend, she sat at the base of the tree and told workers who threatened to cut it down (to lay sewer pipe) that they would have to cut through her first. The tree had to be removed in 1990 due to old age; however, feelings ran so deep that plans for perpetuating it in some way already existed. In the late 1980s, when the McGuffey Ash was still living, branch cuttings were grafted onto ash rootstocks. Of the eight that survived, one of the saplings was planted where the original tree stood in 1996. In conjunction with the University’s Arboretum and Landscape Committee, the memorial and commemorative tree program allows individuals to plant a tree in honor of deceased alumni and faculty. Official trees are also planted in remembrance of those who made a significant and lasting contribution to the landscape. But what about when something goes wrong? For instance, when a branch gets too long or a tree nears the end of its life? “I see people getting their wedding pictures taken under the trees, I see students sitting there. I don’t think they realize how much work is involved in maintaining the trees’ health. They do have a caretaker,” says Jerry Brown, an arborist at UVA for 14 years. 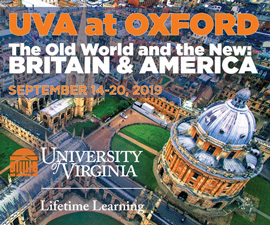 If you think of trees as the other population at UVA, you get a picture of what can go wrong. “Trees are like people,” says Brown, “every day there could be a problem.” Trees that hollow out from the inside, limbs that die back (rot so much that they could fall) and storms that leave branches in the road are just some of the issues that have to be dealt with. Just like students, trees change as they get older. 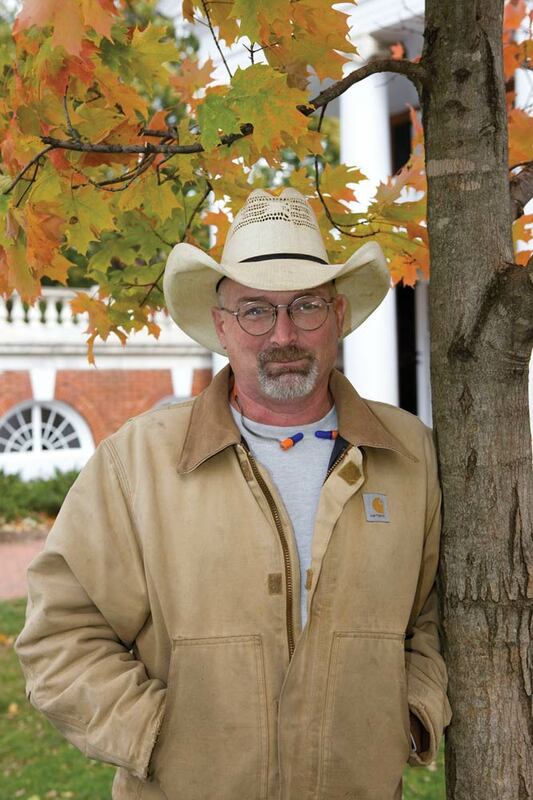 “Through the stress of the seasons, there could be soil deficiencies,” says Brown. And there are those trees that have special problems. There’s the ginkgo tree, for instance. Though a beautiful tree, the female of the species produces a fruit that when fallen and decomposing emits a smell that isn’t exactly floral. “If you were to step in it, you’d probably think you’d stepped in something else,” says Brown. The South Lawn Project, slated for completion in 2010, will change the face of the University. With such a huge addition to the Central Grounds area, the landscape is a major initiative and provides a blank canvas to be painted with trees. A spectrum of species will be planted, including white, red and willow oaks; paperbark, red and sugar maples; river birches; European beeches; green ashes; sweet and black gums; and tulip poplars, to name a few. Through clever placement, the trees will provide benefits far beyond their aesthetic value. “Trees are critically important to the landscape plan for the South Lawn Project for several reasons,” says Cheryl Barton, landscape architect for the project. “The large scale and height of the building complex (four to five stories) required large trees to mediate its size for pedestrians as well as for adjacent neighbors.” Not only that, but shade provided by the trees creates cooler, “micro-climate” zones in the summer. In the winter, branches slow down cold winds. Other considerations include placing deciduous trees on the south and west sides of the building that will allow sunlight in the winter and prevent overheating in the summer, thereby enhancing energy efficiency. Also, “Large street trees are placed along Jefferson Park Avenue to create an urban streetscape edge,” says Barton. 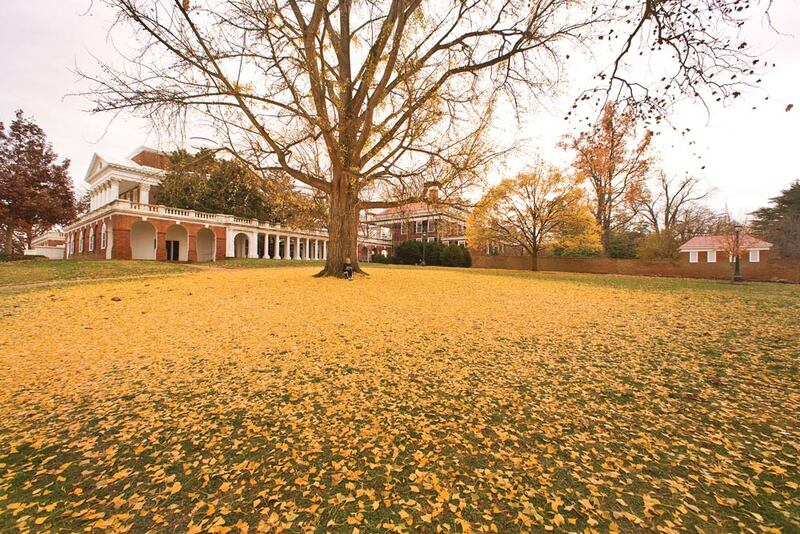 The young trees of the South Lawn Project will help usher in a new era for UVA. If the past is any indication, they will be embraced and appreciated as a part of the community of nature that surrounds and suffuses Charlottesville. They’ll grow with the University, anchoring us in time as we reach toward the future. 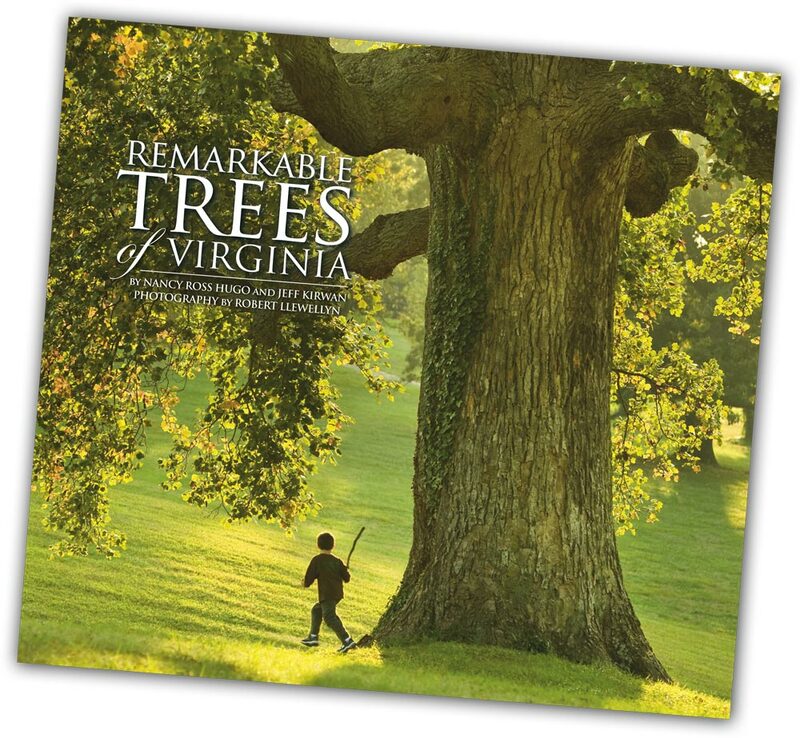 For sumptuous photographs portraying a wide range of Virginia trees, check out Remarkable Trees of Virginia, published by the University of Virginia Press. Combining the photography of Robert Llewellyn (Engr ’69) and the prose of Nancy Ross Hugo and Jeff Kirwin, the book offers scientific insights as well as the history of some of our state’s finest trees. Of the 1,000 trees that were originally nominated for inclusion in the book, the authors selected a lively sample of Virginia’s myriad species, from the oldest to the largest to the truly unique, such as a willow oak in which you can find an embedded tricycle. From an American beech in front of Sleepy Hollow Methodist Church in Falls Church to a bur oak in Elkton, you’ll also learn about trees that are part of Virginia’s history. Far from a textbook, Remarkable Trees instills a fresh appreciation for a part of nature that’s often taken for granted.